OSMcast! Chihayafuru 2-3-2014 – OSMcast! dyed its water in autumn red. Recording in the evening calm. Only the episode is here! Here we are with OSMcast Show #113, all about Madhouse’s anime adaption of Yuki Suetsugu’s poetic card conqueror manga, Chihayafuru. Basil is joined by Ink from Ani-Gamers and Otaku USA Magazine, and Jess, Champion of Proper Pooping oh and I guess also Momocon. We slam on poetry, cards, boxing, kickstarters, how to kick off a new year right, and more! You can stream all the Chihayafuru you want on Crunchyroll! You can also check out Momocon’s awesome idea for a Kickstarter, a College and Game Career Fair! Flute Drop it like it’s hot with D.J. Detweiler. Secondly, twitters. People have them. This entry was posted in anime, Chihayafuru, OSMcast, podcast and tagged anime, Chihayafuru, podcast, poops are important like poems by Basil. Bookmark the permalink. I’ve seen a Karuta Demo at the SF Chery Blossom Festival and its pretty intense! Card will fly. And my foot almost got hit a few times. It wasnt a full match because one, its just a demo, and two it was really warm that day. But I am amazed at the player’s speed! Thank you for covering a show that truly deserves more recognition! 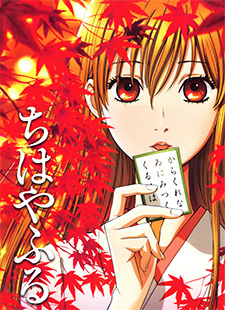 As a Chihayafuru fan, one can often feel a bit lonely in your fandom, so I felt gratified and even a little vindicated to hear other people share their enthusiasm for this great show. I was struck by Ink’s view of Arata as the incarnation of Chihaya’s love of Karuta. I think a similar metaphor can be made for Taichi as the incarnation of Chihaya’s love for her friends. One of the great things about the love triangle in this series is the ways that the different kinds of love, for friends and karuta, blend and interplay together.